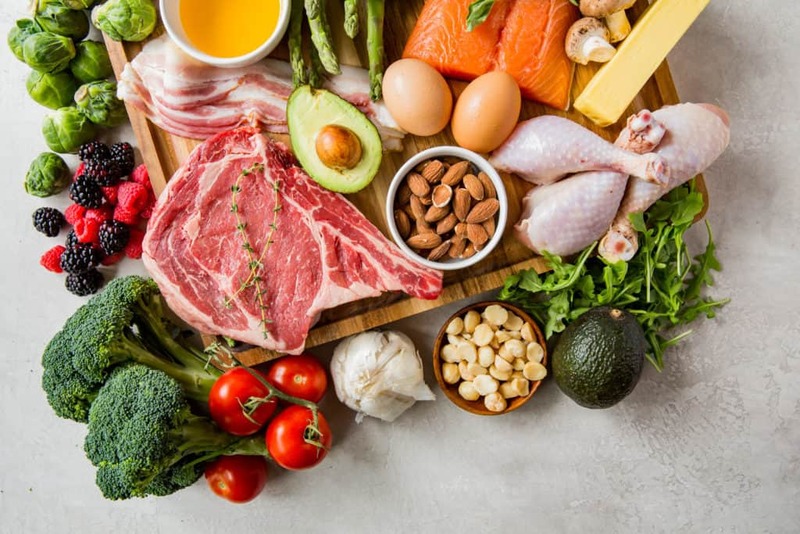 There are plenty of keto diet shopping lists circulating the internet, but this one is consists of the absolute bare bones to get you started on your keto diet. When a diet is simple, it's easier to stick to. 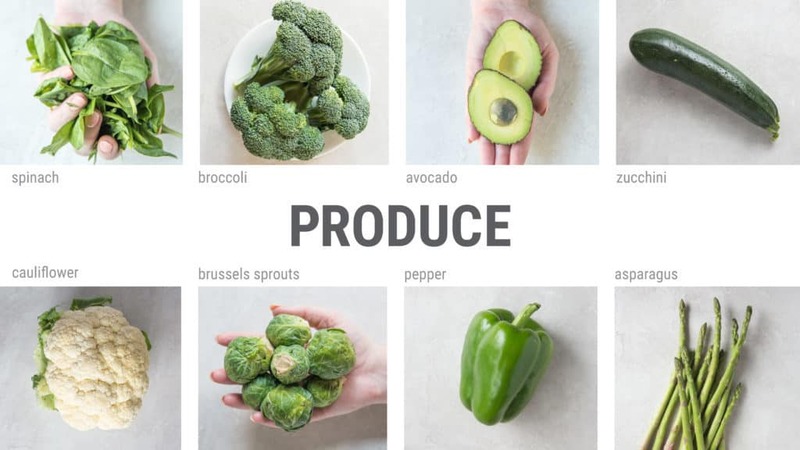 We also show you what we like to buy at various different grocery stores and give you our opinion on which items are essential, and which are just nice to have. Grab a pen and paper! Coconut oil boasts a one-of-a-kind- fatty acid profile and a long list of health benefits. 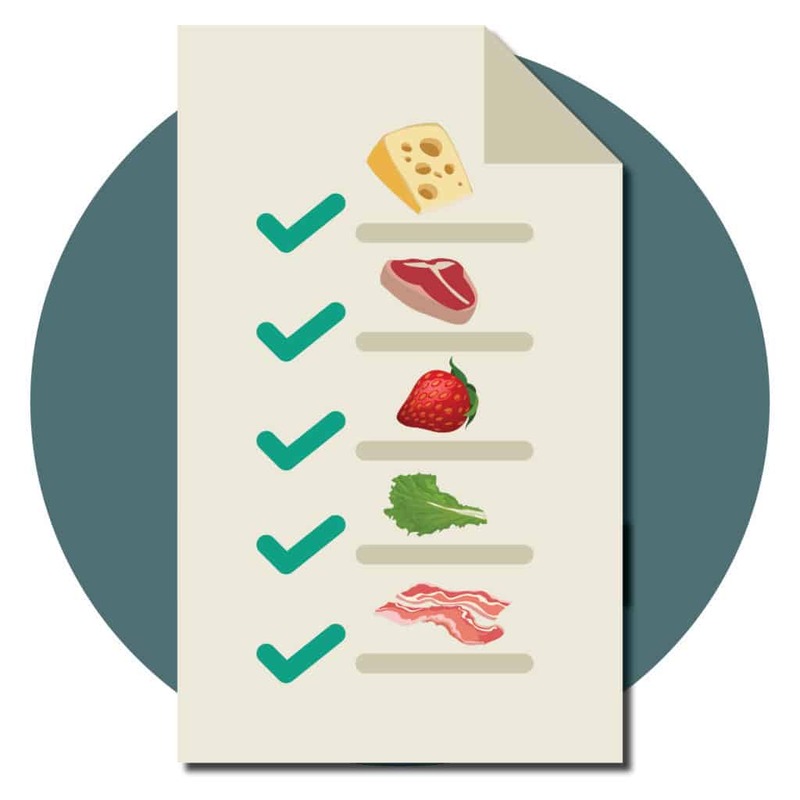 The HUGE list of keto friendly foods. Look for grass-fed butter. It's higher in vitamins and worth the extra money. Great for adding fat to salads since it has a low smoke point making it a poor cooking oil. A delicious butter with more benefits. The milk fats have all been removed making it lactose-free and better for cooking. Medium Chain Triglycerides, usually extracted from coconut oil, are easily digested and quickly turned into fuel by the body. Look for grass-fed options. Great for skin and high in CLA. A diverse oil that can be used in cooking, baking, and salad dressings. When making an asian dish, a drizzle of sesame oil brings out all the authentic flavors. 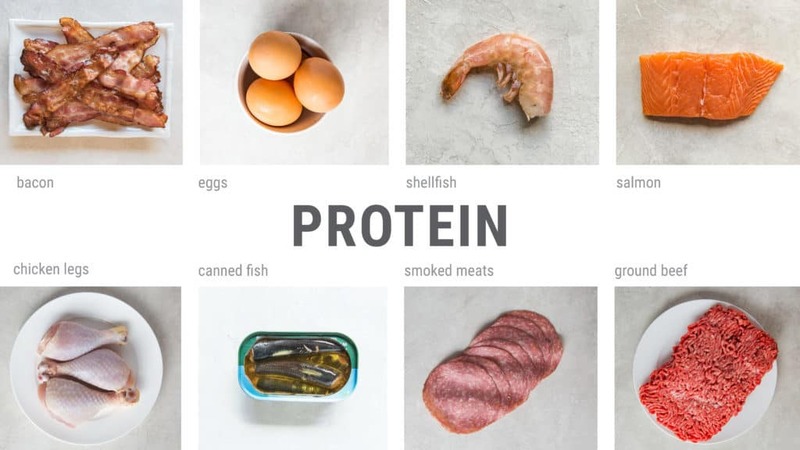 A great mix of protein and healthy fats at a great price for any keto budget. Look for an 80/20 protein to fat ratio or higher in fat, if you can find it. Great for prepping and reheating throughout the week. Choose thighs and legs over breasts since they contain more fat. They are also some of the cheapest cuts of meat you'll find. Look for fish that is canned in water or olive oil. Try to avoid vegetable oils like soybean oil used as canning liquids. Smoked and cured meats are great options for on-the-go snacks. Beef jerky, smoked salmon, and deli ham are just a few examples. Salmon can be a bit pricey, but the fatty acid profile is well worth it. Wild game meats will tend to be leaner than conventional store-bought meats, but they are assured to be free of added hormones and antibiotics. Clams, oysters, lobster, crab, scallops, are all pretty low in fat, so make sure to cook with plenty of butter. Spinach, kale, romaine lettuce, and collard greens are all great options. High in micronutrients and low in carbs. 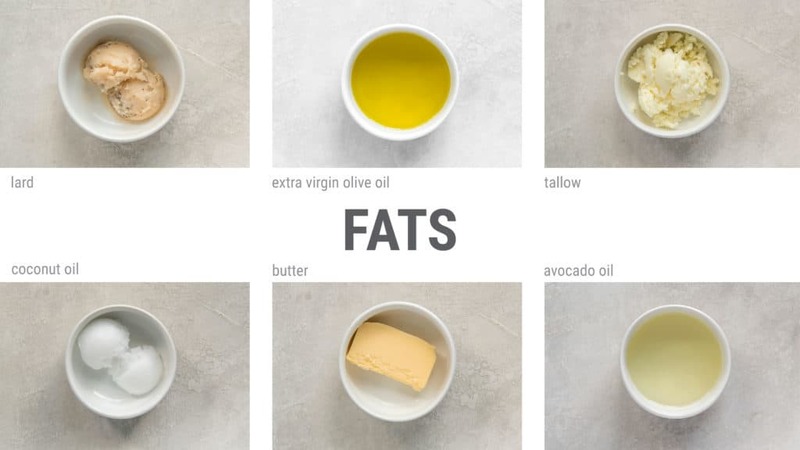 High in healthy fats and potassium, which are both extremely important on the keto diet. Broccoli is high in micronutrients, low in carbs and is really good at soaking up all the fat you cook it in. Works great as a potato replacement in mac and cheese, mashed potatoes, or as bread in stuffing! Contain a wide variety of trace minerals not found in many other foods. Great substitute for chips when sliced up or great as pasta when spiralized. Pair with something from the fancy protein list and you've got yourself a gourmet meal. Green peppers are great in chili and tacos, but red, orange and yellow bell peppers are a little higher carb, so eat in moderation. Great for absorbing all the fat you can jam into them, especially when cooked with bits of bacon! Make for a quick snack that's low in carbs, high in fiber, and high in healthy fats. They are tasty and easy to overeat, so don't over do it! A few tablespoons in your morning coffee may keep you satisfied until lunch. A great snack when you are on the road and an easy way to add fat and flavor to keto meals. Low in carbs and high in healthy fats, making walnuts a fast keto snack. 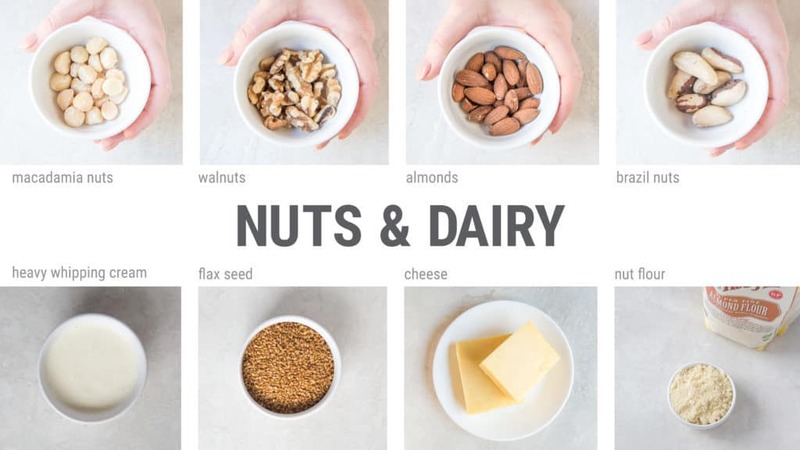 One of the best keto nut options since they are packed with healthy fats and are low-carb. Chia seeds are a great addition to your keto kitchen. They can turn any liquid into pudding. Try our recipes. The best alternatives to traditional wheat flour. We use almond flour, coconut flour, and whey protein in all of our keto baking. Brazil nuts are one of the best sources of Selenium on the planet and are low in carbs too. Flax seeds and flax meal (ground seeds) are great for keto baking. Now that you have all your grocery items, it's time to plan your meals for the week so you have an idea of how much to buy. 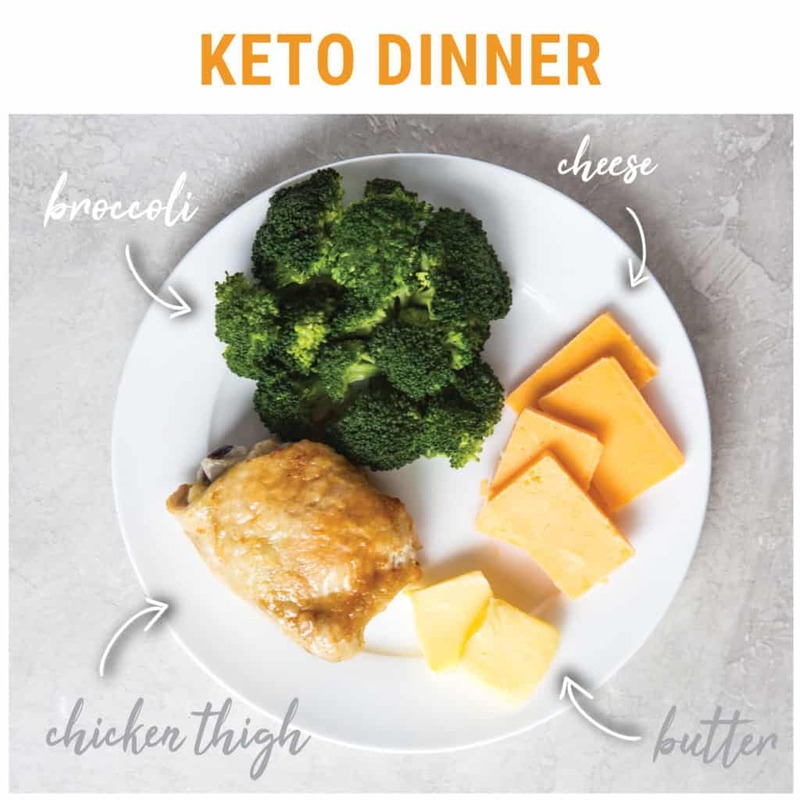 Here is an example of a typical day of keto meals using our keto diet shopping list. We like different grocery stores for various reasons. Some have specialty keto products, while others have amazing deals on the essentials. Find your favorite grocery store below and find out what we like to buy from there. Comté Cheese - We like to eat raw cheese for its higher nutritional content. Smoked Salmon - High in Omega-3 fatty acids. Kiolbassa Smoke Sausage - A quick keto meal. Kerry Gold Butter - Good price for grass-fed butter at Costco! Almond Flour - Kirkland Brand is the cheapest option for this keto baking staple. Ghee - Lactose-free and great for cooking. Sardines - High in Omega-3 fatty acids. Mayonnaise - Costco carries mayo made with avocado oil which is our favorite. Powdered Bone Broth - All the bone broth benefits for just $1 per packet. Hemp Hearts - Costco offers a good deal on this pricey product. Coconut Oil - We use this in a lot of our recipes. Zip Fizz - We like this for pre-workout. Protein bars - Costco protein bars are keto friendly and cheaper than Quest bars. Cheese Chips - Costco carries Moon Cheese and Cello Whisps, our favorite travel snacks. 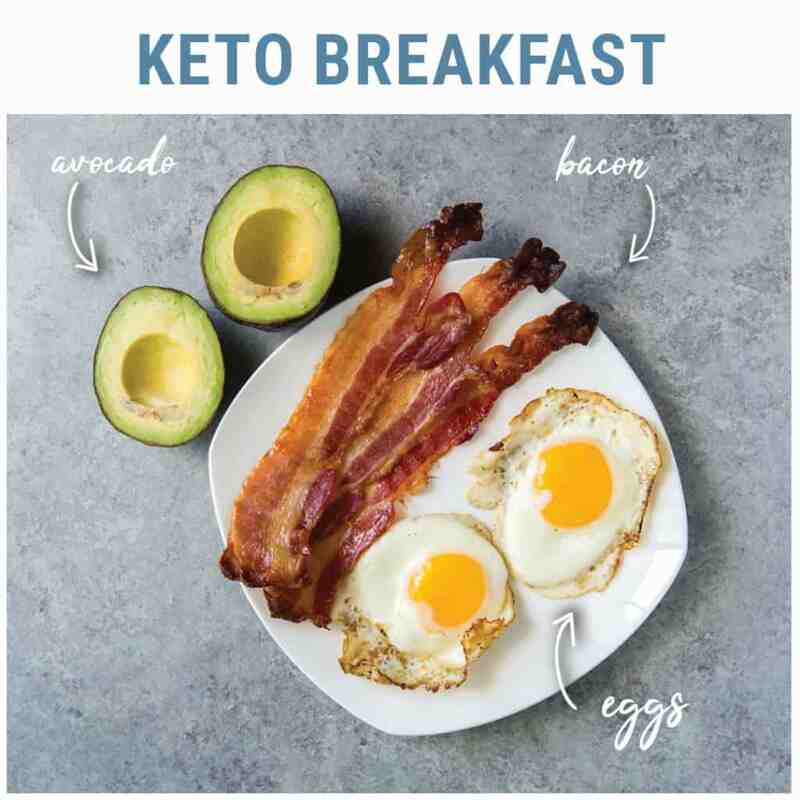 Click here for more info on shopping keto at Costco. Organic Frozen Spinach - Conventionally grown spinach is high in pesticides, so we go organic. Columbus Hard Salami - Zero carb and great for snacking. Green Dragon Hot Sauce - Megha's favorite. Bacon Ends and Pieces - Great fat content. Mahi Mahi Burgers - Only one carb per burger and delicious! Grass-fed frozen meats - The cheapest place to find grass-fed meat. Aged Gouda Cheese - Trader Joe's has an amazing selection of specialty cheeses. Ciao Pepperoni - The best pepperoni we've ever had. Pre-Cooked Grilled Chicken - Great for tossing into salads. Sunflower Seed Butter - The best alternative to nut butters and perfect for fat bombs. Extra Virgin Olive Oil - High quality olive oil. Pre-Cooked Pork belly - Delicious and easy to make. Just heat it up and serve. Grass-fed Marrow Bones - Great for making bone broth. Frozen Fish - We love the Atlantic Salmon fillets with skin on. Farmhouse Culture Gut Shots - Each shot contains 100 billion probiotics and 1g of carbs. Kelp Noodles - Crunchy keto noodles for asian style salads. Sunja's Kimchi - Our favorite brand of kimchi. Organic Chicken Liver - High in vitamin A and other nutrients. Primal Kitchen Mayonnaise - Made with avocado oil, not refined vegetable oils. Marinara Sauce - Victoria Vegan and Rao's Sauces are both low-carb and tasty. Zevia - We drink these all the time. Sugar-free and no artificial colors. Vega Sport Hydrator - A great keto electrolyte supplement. ​Click here for more info on what NOT to buy at Whole Foods. Keto Yogurt - Kite Hill is a great low-carb brand of yogurt. Meat Sticks - Nick's Sticks are a delicious movie snack. Low-Carb Maple Syrup - Walden Farms is our favorite topping for keto pancakes. Keto Baking Supplies - Great deals on chocolate chips, flours, and sweeteners. Salad Dressing - Sprouts carries dressings made with avocado oil, which is all we use. Low-Carb Chips - We love Quest Chips as a late-night snack or for munching on the road. Bacon Bits - The Epic Brand bacon bits are delicious and high quality. Keto-Friendly Chocolate bars - Our favorite is Lily's! Sugar-Free Bacon and Sausage - This can be hard to find, but Sprouts carries some good options. Click here for more info on what NOT to buy at Sprouts! Panino Fingers - Cheese with meat wrapped around it. Need I say more? Bagged mixed vegetables - They make dinner that much easier. Whipped Cream - Great for when we're in a pinch and need whipped cream. Little Chorizo Sausages - The brand is called Quijote Chorizos Caseros and we love them as a movie snack. Real Good Foods Products - Publix carries keto-friendly frozen foods like pizza and enchiladas. Low-Carb Ice Cream - Their best keto option is Enlightened brand. 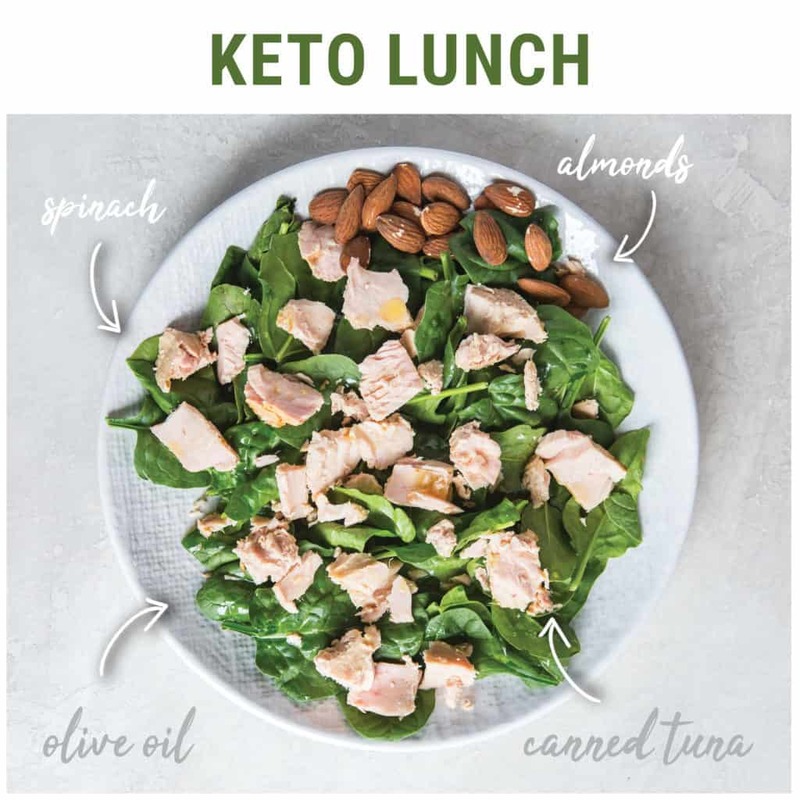 Click here for more info on shopping keto at Publix! Duke's Sausages - Our favorite flavor is Original. Large box of eggs - We go through a lot of eggs in our household. Brie Cheese - One of the lowest carb cheeses. Bags of shredded lettuce - Great for meal prepping salads. Mac's Pork Rinds - Cheapest and tastiest. We like the barbecue flavor. Coconut Milk - We love this for keto baking and cooking. Adobo Peppers - Essential to our favorite mexican shredded chicken recipe. Shrimp - High in protein and delicious in a bath of butter. Chicken Thighs - We prefer thighs over breasts for the higher fat content. Baker's Chocolate - Great for fat bombs, snacking, and baking. Babybel - These little cheese snacks are great for on-the-go keto. Avocados - Our favorite fatty fruit. Lemons - Great for cooking with chicken and fish. Heavy Whipping Cream - An essential for many of our keto baking recipes! Flax Seed - The main ingredient in our Pumpkin Flax Crackers. Broccoli and Cauliflower - Cheap, delicious, and good at soaking up butter.